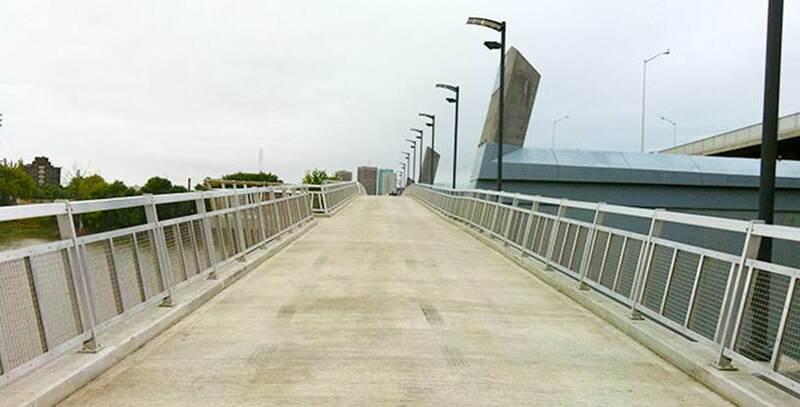 Winnipeg, MB – The City of Winnipeg is continuing the development of Pedestrian and Cycling Strategies to identify priorities for infrastructure and to promote walking and cycling as a safe, viable and attractive transportation choice. The Public Works Department has engaged Urban Systems Ltd. to undertake the research and development of these strategies for the City. The team has completed the first phase of these strategies, which includes preparing demographic and neighborhood profiles, travel patterns, creating an inventory of all existing pedestrian and cycling facilities, and identifying best practices and lessons learned from the development of strategies in similar cities. The next step is to engage the public through a public consultation program. The purpose of the public consultation program is to ensure the strategies meet the public’s expectations for their short- and long-term walking and cycling needs, and to increase public understanding of active transportation choices. The plan has been tailored to engage a broad range of stakeholders and the City is seeking input from all Winnipeggers. A telephone survey will also be used to reach out to Winnipeggers to see what people think about walking and cycling in Winnipeg throughout the city. Feedback from the public consultation program will assist in determining how the City will move forward in developing and promoting walking and cycling infrastructure. Chalmers 5 Year Neighbourhood Plan (to be adopted)- on website, Facebook, and can be requested via email or in person at 180 Poplar Ave.
Perry and Ali from NA! Thanks to all the NACC members! Nelson Sanderson THANKS Dale Karasiuk for all his hard work!! !